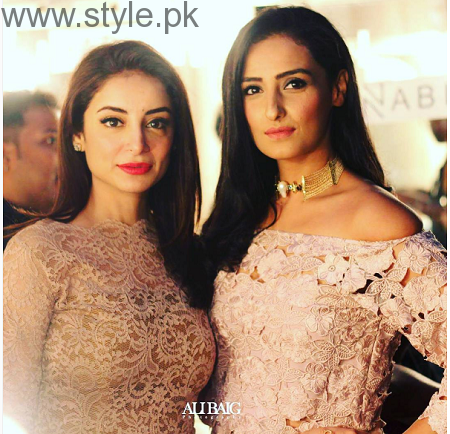 Sarwat Gilani is well known Pakistani actress, model and host. 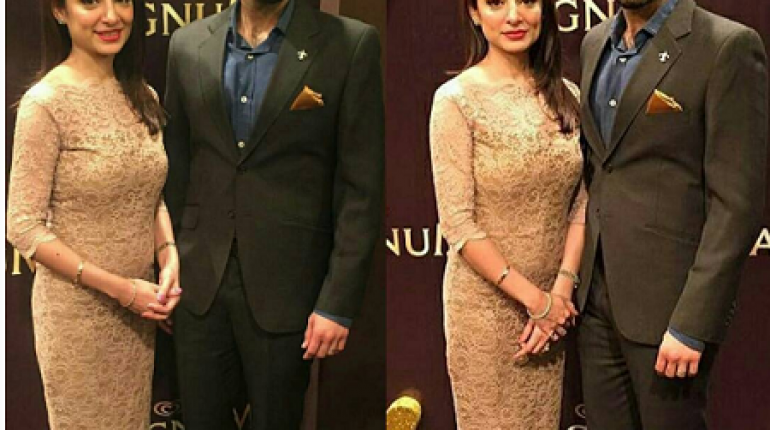 Fahad Mirza is famous actor, model and Doctor by profession. 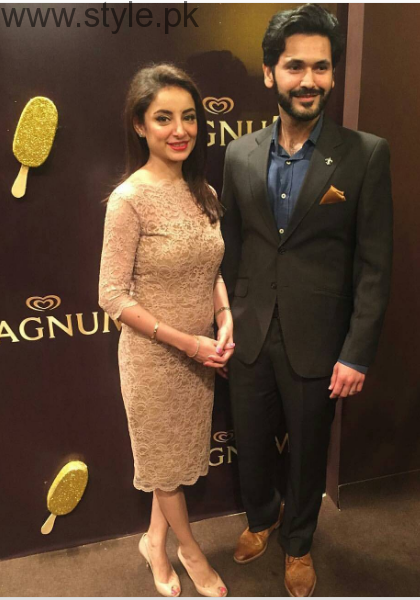 Sarwat Gilani tied knot with Fahad Mirza and the couple has a little son. 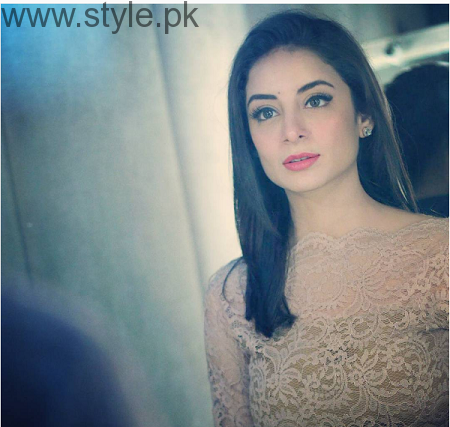 Sarwat Gilani has also hosted morning show on HUM TV. 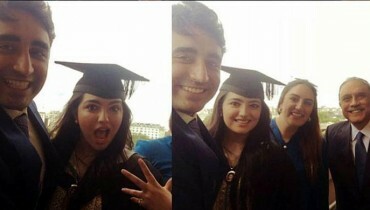 She has done a number of dramas and movies as well. 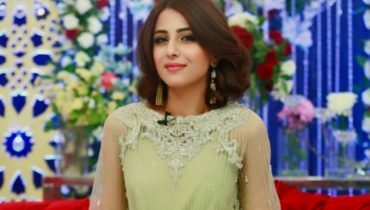 Jawani Phir Nahi Ani was her debut Pakistani movie in which she played the role of a pregnant Pathan woman. Other movies include Shadi aur Tum Say, Dil Mera Dharkan Teri, Baat Cheet and 3 Bahadur. 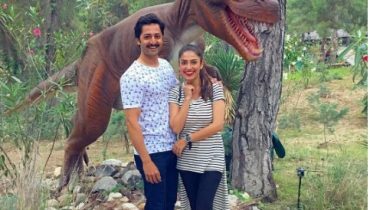 Fahad Mirza has done a few Telefilms like Mutthi Bhar Mitti, Mein Deewani, Shanakht and Baat Cheet. Fahad Mirza has rocked in Oreo and Tapal TVC. 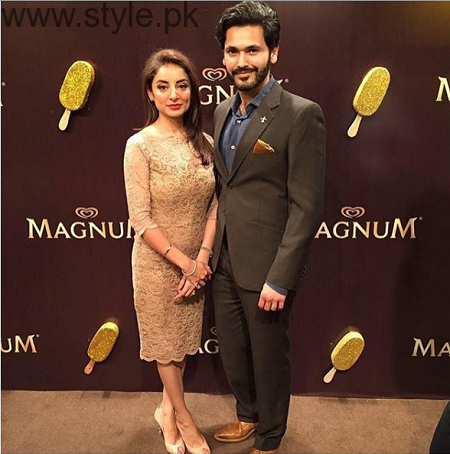 Last Night, Magnum Party 2016 was held and many famous celebrities were part of the party. 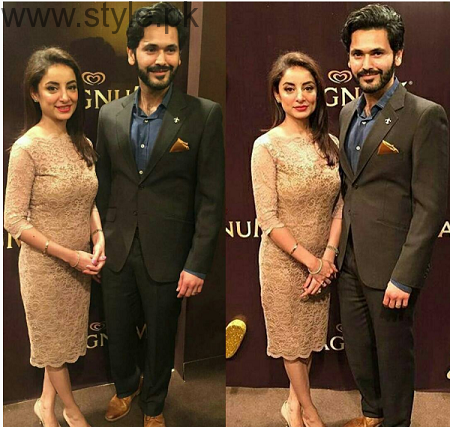 Here we have Beautiful Clicks of Sarwat Gilani and Fahad Mirza at Magnum Party 2016. Have a look.